This is my first Digital Camera and I am very impressed. I took the camera to Europe for 6 weeks. It was easy to upload the pictures to my Laptop and email them to friends. I took over 225 pictures and only changed the rechargeable batteries once. When I got home, I printed some of the pictures using an HP 1215 printer and as I was told "They look like a Postcard." The camera was easy to use and I used all of the default settings. The zoom was great and it work like a point and shoot. This past summer I studied in Cuba for a month. Of course this is once in a lifetime opportunity, so I had to get a camera and it HAD to be digital. I've never owned my own camera before and already too many moments in my lifetime have gone by without ever being recorded. I also have a problem with getting myself to the store and going through the tedious and costly process of developing film. So I went ahead and purchased the HP C615 model and it was probably one of the best purchases I ever made. I also purchased the 96 MB memory card which holds up to 360 photos at the lowest quality (which is better than some film cameras). It was well worth it. All of the other American students whom I met in Cuba, were envious of the fact that I could selectively view and delete my pictures through the camera. In comparing film pictures with mine of the exact same images the HP 615 won out every single time. So that's not a bad large investment compared to buying film, lugging it around and then waiting for it to be developed. Now all I carry is the camera and an extra set of batteries. Of course this review wouldn't be objective if I didn't put one complaint in. My only complaint is that the viewfinder is not very well lit. It's actually pretty dull compared to some other cameras that I've taken pictures with. It also does not provide a very accurate width of the actual photo that gets processed. But since I realize the fault of the camera, I know its OK to cut off people's arms straggling on the edges of the viewfinder because the photo comes out perfectly trimmed. This does cause a problem for those one or two occasions when you have to rely on a waiter or passerby to take your own photo. They usually include too much of the surrounding area. But I found a way to get around that too; now I set the zoom and area for the innocent bystander. The pictures I take are breathtaking!! The colors are scintillating, and the lucid ambiance palpable. If you're just starting out this is a great choice. People who now view my photos assume that I have some kind of talent or training, but I am honest and admit to them that it's really the camera. I bought this camera last summer (...). this camera is extremely better, and aside from what you read, it is an excellent camera for point and shoot. it comes with a users guide on your computer that is useful if you want to do more difficult and more proffesional kind of photography, or you can simply just shoot photos ease and without worry. the options are endless and the picture quality is great. here at college, i use the camera a lot and share the pictures with my friends on email. this camera is durable, simple, and overall a great buy. and its right in between the cheap digital camera, and an the expensive ones. Pentax optics and H-P electronics equals Great Value! After extensive research into 2 and 3 megapixel cameras, I settled on the H-P C618xi (identical to the C618 except for included software). I was going to Europe for two weeks and wanted to give digital photography a serious workout. Boy, did I make the right choice! The camera is worth much more than it costs, an idea supported somewhat by resell prices higher than what I paid for it new. It has tremendous versatility: Easy to use automatic features for carefree snapshots and excellent manual capabilities for greater artistic control. I do professional work for feature and spot news stories. Over the last two or three months, I gradually have pared down the "film" equipment I keep with me until all I take along is the C618xi. The lower JPEG settings are great for newspapers, yet the highest rez TIFF images reproduce perfectly in 4-color glossy mags. Instead of a bulky kit, now I have only a small tote with a wrist strap, containing the camera, 4 spare AA's, a lens brush and CF memory cards. That will last me all day in just about any setting. If I'm doing a flash-heavy shoot, I carry along 4 extra AA's just in case. This camera is not as power-hungry as some I've seen. However, any user will find that 1600mAH NiMH batteries are the way to go to keep the energy costs down. My personal recommendation is to go with Ray-O-Vac: Their AA's are the highest potency around and they make a great compact 1-hour charger that will charge 4 AA's at once (...). For the amateur or the professional, I can't recommend this camera highly enough. I wouldn't part with it for anything. i was looking for a digital camera with at least 2 megapixels in a certain price range, and after careful consideration, i chose this one. its a great camera. one of the criticisms i've seen about this camera was the size: i don't find this a problem, and i've had camera with the opposite problem (elph lt, which was sometimes too small to put your hands around). It has some very nice features, including remote control, easy to use menus, usb extension for easy download onto your computer. with the 16mb memory that comes with it, you can take 28 pictures of really good quality. I'm still getting used to being able to look at the pictures right away and deleting them/etc. This camera is relatively inexpensive, but it's not all it's cracked up to be. Battery life, flash charging time, image processing time, and poor design all conspire to make this a frustrating item. Battery Life: The only time this camera works as it should (i.e., flash charges in a reasonable time, LCD can be used, etc.) is when used with superior (read "expensive") batteries. There are no rechargeable power options, and when sending photos to your PC, do not attempt to use any power cord but the one HP sells (for a hefty price) or else you run the very real risk of frying the camera. Design/Ergonomics: The camera's design is very poorly executed. It is difficult to hold the camera steadily without placing your fingers over the lens; consequently one is forced to hold the camera in an awkward way. The viewfinder is not well aligned, and has no depth (i.e., your view out the viewfinder can change a good deal as you slide your eye from one side to the other). Finally, the trigger button has a poor feeling--it's requires that you press down too long. Flash Charging: As noted above, with anything but the best batteries, the flash will take a ridiculous amount of time to charge up: upto 25 or 30 seconds. I've missed many a photographic opportunities waiting for the flash to warm up. Furthermore the camera's default setting upon powering on is with the flash enabled, and changing that setting takes several seconds too. Images: This camera does produce good images in most light (although it tends to overplay reds in low light, and underplay reds outdoors). However the time required to process an image between one snapshot and the next is sometimes somewhat slow. Price: Price is the only real strong point for this unit. In retrospect I would have opted up for something more, especially considering that the price of digital cameras seems to be dropping $50 or so every six months. i paid over 100.00 for this camera new. if i had the chance to buy another one brand new for 10.00 i would pass it up. this is the biggest piece of junk i ever seen in my life. to call customer service its 2.50 a minute with a 10 minute minimum billed to your phone bill. shame on hewlett packard. i will NEVER buy another hewlett packard product. This camera has two very bad problems. First, it goes through batteries like they're going out of style. Several other reviews have advised using rechargeable batteries, but in fact, that's a very bad option with this model. The user manual doesn't explain why, but on page 47 it says "do not use rechargeable batteries." I researched this a little - rechargeable batteries get too hot, putting the camera's innards at risk of melting. More importantly, any use of rechargeable batteries will void the service warranty. A voided service warranty would be bad under any circumstances, but it's especially bad in this case, because this particular camera is more likely to break than many others; there is a bug in its software. There are two ways to delete pictures from the CF card. You can use the camera itself, or you can use your PC when you have the camera connected. The bug comes into play if you use your PC to delete pictures - you run the risk of "toasting" the camera's firmware. "Toasting" sounds bad, doesn't it? It is indeed very bad - the cost of repairing a "toasted" camera is much greater than the original price of the camera. (Meaning greater than the price of the camera when it was sold new two years ago.) Cameras under the service warranty are simply replaced, but if the service warranty has expired or is void, the customer must pay. This is a well-known defect; in fact, it is one of the most-discussed problems involving the HP 215 on HP's "Support Forums." The original post dates back to September 19, 2001. I was fortunate; my camera was still under warranty when it broke. I had an extremely difficult time with HP customer service, but eventually I did convince them to send a replacement. The replacement camera is adequate, but that's about it. The on/off switch is poorly designed. It takes a delicate touch to properly turn the camera off, and I've lost count of the number of times I've accidentally left it on and returned to find the batteries dead. The focus & shoot function is aggravating - to "focus" you must gently depress the button half way, and then you must wait for a signal before you can actually take the picture. Judging the camera functioning as it was designed, I'd have given it 2 1/2 stars. With the software bug and HP's lousy customer service added in, it really doesn't deserve any stars at all! Don't waste your time or money. Buy something else. I bought this camera 2 years ago. It never worked well, devoured batteries, and the PC interface was so complicated it was not worth the effort. I threw mine in the trash--not even worth donating to a charity. That is how useless it is. Carly should be ashamed of this product. 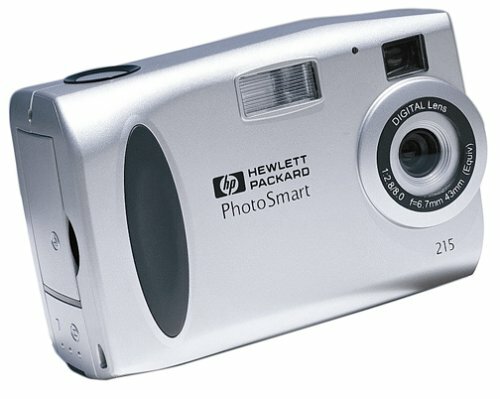 the HP PhotoSmart 215 Is A Pretty God Camera...THAT IS....If You Have The Money For All The Batteries And The Patience Of The Loading Time In Between Photos! *The Loading Time Between Taking Photos Is FOREVER!!!!! *You Cant Use Rechargeable Batteries, Or It Will Fry The Camera. So You Have To Buy The Ultra Expensive Batteries That Only Last Like 15 Pictures. I love this camera. It's by far the best value in a digital camera. I spent ages comparing features and prices. 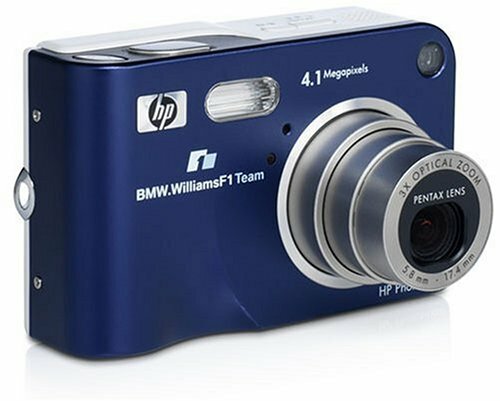 It has better resolution and zoom - 2.1 MP, 3 X optical and 4 X digital than cameras manufactured by the well-known camera companies, and for about half the price. The auto-focus, red eye eliminator etc. work very well. Out of the 400 shots I took the first three days I had the camera, only 3 were underexposed. The camera can take good, clear pictures of very small objects (12 X zoom, distant objects, interior, exterior. The silent movie option also works well. My only beef is that the batteries supplied with the camera only allowed me to shoot and upload about 400 pictures. So I recommend buying rechargables. This has replaced my older Cannon Eos Rebel. Don't Come Anywhere Near This Worthless Camera!!!! 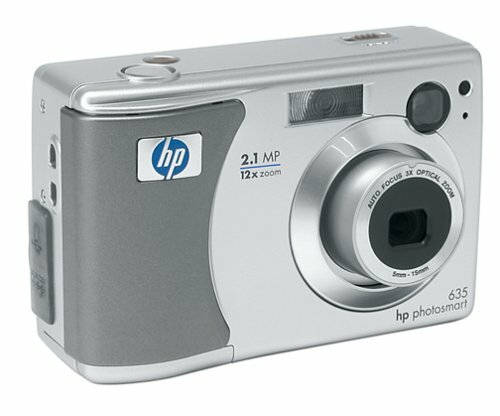 Okay, so my birthday was a week ago ...My family knew I really wanted a digital camera, so they decided to pick the HP PS620 for me ...Just looking at the box told me that this was nothing to get excited about. Only 2 Megapixels? 3x optical zoom? That's it? Yeah, I was polite and thankful upon getting it as a gift, but I'll defenitely be returning it with a speed! Before you ever turn on the camera, you'll already be unimpressed. The camera feels very light and plastic-ish. Weighing in at a mere .46 pounds, this thing feels more like a children's toy than a real $200 digital camera. Then you start taking pictures ...Anyone who has ever had a digital camera before will immediately notice the lack of features and options, and the picture quality can easily be obtained (surpassed, even??) with a much cheaper 35mm. There really isn't any special features or advanced options to speak of, and the photographer's creative control is extremely restricted. There is not even a Sepia or Black & White Mode to speak of, so any such editing of your pictures will have to be done on your computer, in a Photoshop program for example. Many things that a serious photographer would like to have control over will be absent. The white balance, ISO, and the shutter speed cannot be controlled, they are all automatic! This becomes very frustrating. There is also a "movie" mode, but I believe it is actually refered to as a "motion image" or "motion JPEG" or something. This is because you can't record the video with audio. So really, the best thing to do is never, ever, ever buy this camera for yourself, or loved ones on their birthdays, either. Serious photographers will find absolutely NO significant controls to take charge over, feeling very restricted. The camera is simply too simple for them. Folks new to digital cameras will find themselves satisfied for now, but in a few months when they begin learning more and more about digital cams they will already be ready for an upgrade. So even for amateurs, the camera is not worth the price. I recomend instead the Sony Cybershot P10. It does cost a bit more money, but new digital photographers will find a lot of options and controls at their disposal. Even though there's a bit more to learn with that camera, no one should be intimidated by it. Sony has made a very easily-accessible camera in the P10. For even more advanced photographers, the Nikon Coolpix 5700 is an excellent 5.0 megapixel camera, with even yet more advanced features than the Sony P10. Both of these cameras will make any photographer, amateurs and serious ones, very happy ...the price is a little higher, but anyone willing to give either a try will realize that the price is definitely worth it. And as for this worthless camera? 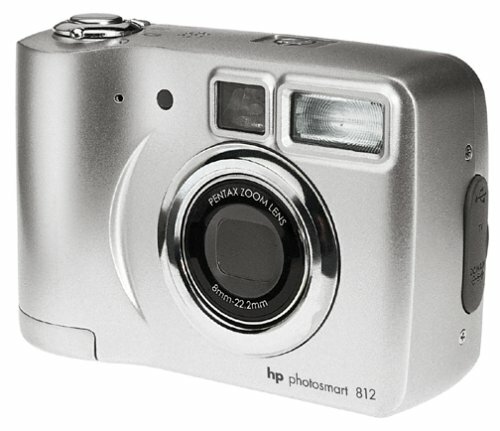 Anyone could eventually find that this simplified, point-and-shoot camera is hardly worth $200. I wouldn't pay one red cent for this thing. My camera has a problem where a lot of times, the picture breaks and disaligns, and I get a garbled picture. Does anyone have an idea of what to do??? This is a nice camera for its price (...). 3x Optical Zoom is good, but don't expect anything from digital zoom. There isn't much memory, though (You need an SD Card), and onboard memory only stores 7 photos at top resolution. If you can get this camera for less than $200, it's worth it. This is a perfect companion for those are new to digital imaging. Don't use the lowest quality (640x480) - not good for printing. The medium quality (1600x1200 with less compression) is best when you resize to 800x600 for printing (esp. in an under light condition). The best is to use 1600x1200 with the highhest compression - good for printing 8'x10". 8MB CF won't be enough for anything. Get at least 64MB or 128MB + rechargeable battery. Pros 1: Don't need to install the software. Just plug-in the USB cable, and windows will take it as a removable drive. Very user friendly. The OS of the camera also very easy. My grandma will be able to use it without reading the manual. Pros 2: Not battery eater. I won't say it's the best, but I am quite satisfied. 80 pics taken with LCD on and transfer all of them with the same battery. Not to mention sometimes reviewing the pics taken. Pros 3: In almost totally dark condition, with highest setting, produce a decent quality. Cons 1: For Win2K users only: all HP digicam won't support CF higher than 32MB for direct transfer. You need to get a CF Reader. I have 128MB Viking and I need a CF Reader to download all the pics. No problem with other windows. Cons 2: Don't use the digital zoom. It's horrible. Cons 3: USB Cable is very special - hard to find replacement. Cons 4: In the dark, there is no light/backlight. Not easy to control the cam. I have owned this camera for almost 2 years and absolutely love it. For a point and shoot style of picture taking, in the digital realm, it can't be beat. I've taken almost 2000 snapshots with my HP315. I've used it on vacation, for family snapshots, for capturing images of woodcarvings for my website, etc. Typically, I use the medium resolution, occasionally the high res. Medium seems to be fine for viewing pictures online or for informal prints. High res is definitely better for printing w/ photo paper. The camera can be hard on batteries, but limiting the use of the LCD view screen greatly extends battery life. I essentially only use the screen to review the picture immediately after taking it (the camera defaults to briefly showing the image and allowing you to accept or delete it). I use the traditional view finder to take most pictures. This REALLY saves the batteries; to the point where I can't remember the last time I've replaced them. I would recommend a higher capacity CF card, I use a 128mb; also, a CF card reader is a must. If you're looking for a digital camera at around 2 megapixel for casual snapshots, this camera can't be beat! This camera is so easy to operate, I took it to a class reunion after having the camera for only 2 days. I took 35 pictures and emailed them to the school website and all the alums could download the photos they wanted. I had also purchased a 48mb flashcard, so I have been able to take 60 photos at the sharpest setting. I had heard about these cameras eating batteries, but I have taken well over 200 pictures, reviewed, downloaded, and erased with the same batteries that came with the camera. The battery indicator is still registering full battery capacity. I use the optical view finder to actually take the pictures. Photo quality is excellent and the software that accompanies the camera is also user friendly. You just plug the camera into either a serial or USB port and follow the easy steps to view or download the camera. After shopping the internet for the best features and prices of digital cameras and borrowing cameras from friends, I am really impressed with this camera. The only thing that keeps me from giving it the highest rating is that it doesn't have optical zoom, however, it does have digital zoom. This camera is a bargain for the price. This digital camera takes wonderful pictures & its easy to use. I printed 4x6 pictures on the HP Photo Smart Printer & they are better then pictures developed using a 35mm camera.....crystal clear. I would highly recommend this camera & it is for sale at a good price. You have to love a digital camera with a high level of zoom. 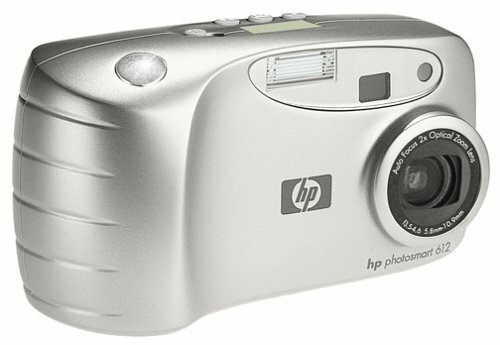 Hewlett-Packard's Photosmart 850 offers 8x optical zoom in its relatively compact (for the optical length) lens. The camera itself, however, weighs over a pound. The camera also goes right into its 7x digital after you hit the end of the optical range, letting you seamlessly get closer to the action. Unfortunately, the autofocus didn't always show us a crisp image on the LCD--the photos would show up sharply, but it was difficult to decide where exactly to line up the shot. Other than minor issues with the zoom, we're enamored with the 850. Its 4.1-megapixel resolution results in deeply detailed images, while its 2-inch LCD displayed photos more brightly and in much higher quality than other digital camera LCDs. And the camera can record video (complete with audio) in clips of 288 x 216 pixel resolution and up to 60 seconds long. You can even record audio with your still photos to give them more life. You'll want to spend some extra cash to upgrade the camera, however, as it only ships with a 16 MB Secure Digital media card. The optional docking station makes it easier to transfer images to your PC and also includes rechargeable batteries (the camera comes with four disposable AA batteries). If you have a compatible HP printer, you can also print directly from the camera--no need to pass images through your PC. Although, if you do send your pictures to your computer, you can use HP's suite of tools, including HP's Instant Share, which lets you automatically send pictures to an e-mail recipient or the Web. New at digital but not 35mm photography! Lots of info! I have been using 35mm cameras for 35 years taking pictures of the family, flowers, animals and landscapes so I think I know something about photo taking. I am a digital virgin though! I shopped around before I purchased the HP-850. I was looking for a 35mm like camera with shutter (time exposures) and F-stop control, lots of zoom, macro ability, flash options (red eye & fill flash), good focusing abilities (low light and spot/averaging options), an easy to use inexpensive battery type and a reasonable price. All were there in the HP-850. I recently used the camera on a trip to Hawaii where I tried all of it's options except the different white light options. By purchasing a 110 Power Adapter cord from e-bay I was able to play with the many camera options and controls on my couch to learn the camera. I was also able to view the results and not use any battery power while doing all this. I found the manual to be just fine. Naturally you have to be versed in 35mm camera use and wording to understand options and how to use them but that wouild be true with any camera. The NIMH rechargable batteries lasted a long time (100+) photos. I used the power adapter each night to edit the days pictures so I really only used battery power to take photos. I did do some "on the spot" editing. The powerfull zoom and the viewfinder indication (red box) when you transitioned into digital zoom. The ability of the camera to take indoor pictures without a flash - it's amazing. Night time exposures were a lot of fun. With the amazing cameras natural bility to use natural light 1 - 3 seconds was plenty of shutter delay in all cases. The flash red eye reduction and fill flash worked great but do take a few seconds to set up. I'm getting faster! When Editing - the 4x enlarging option allows you to check focus detail over the whole picture. Also the second thought "are you sure" option before erasing a photo is great. The view finder does not work until you get your face about 2 inches from the camera. This saves battery power. The shutter can easily be partially depressed for focusing. You do noy easily set off the shutter. I found the view screen great as a view finder when taking delayed shutter and time exposure photos. The camera is light and fits my hand very nicely. The controls are easy to access and work. You do not need a tooth pick or pen. Once you learn the options and programs they make sense and are easy to use (I have not figured out the 4 white light options yet well enought to comment on them. Shop around for a bag. Don't forget to make room for extra batteries and an extra memory disk. I purchased a battery charger and two sets of NIMH rechargable batteries. I have not regretted it a minute. The camera takes some getting used to but then it may be me getting used to digital photography. The view finder goes black and there is about a 1 - 1/2 (noticable) second delay before the camera takes the pictuer. This makes taking pictures of moving objects (ex = waved breaking or hitting a rock, standing wildlife - they seem to move constantly, people walking or swinging a golf club)a real challenge since you are never really sure what you are going to get and you have to anticipate. Of course you can always review and erase/try again. It also makes long distance shots using a lot of zoom very hard without a camera support of some kind. My wife, who has problems with a point and shoot, had problems with the focus in low light (set at central area of view finder). She does not understand the need to aim the camera onto the focal point of the photo and 1/2 press the shutter button to set focus. She is smart so it would probably help if I spent some time a explained it to her. The 16mb disk that comes with the camera is basically worthless as are the four batteries they provide. When asking others (waiters, bus boys) to use the camera the view finder going black, the shutter delay (1 second about) and 1/2 shutter button focus really throws them. I usually had them take 3 pictures then edited for the best. It helped to tell them what to expect first off and of course thier patience and ability to listen/learn are factors. I bought this camera for it's 8X optical zoom. This one produces good quality pictures and the video capturing is okay. Probably you need to avoid zooming while capturing video clips. It's definitely not for people who are looking for point and shoot camera. It takes a while to get used to shutter speed. The digital zoom is an added feature but not exciting. The camera comes with 16mb SD card , it should be upgraded to either 128mb or 256mb cards. This one eats batteries hence rechargeble batteries are must. The additional accesories needed are AC adapter and S-Video cable. Other than price of the camera you need to spend about 100-150 USD to get it complete. Still it's worth the expenses compared to other branded camera's with simillar features. I've had this camera now for over a year and it is awesome. First of all to the people complaining about the battery life, you must have a faulty unit because my batteries last forever. I am always taking pictures and very rarely have to change batteries. I spent 4 days in Vegas and the Grand Canyon last year and took over 600 pictures and never even had to replace the batteries and that was also with constantly looking at the pictures on the screen and downloading them to my laptop without using a power adaptor. The pictures I have taken are awesome but you need to take the time to learn the camera options. For example you need to learn when to use the flash or change the shutter speed to get good shots. Its not complicated but most people don't bother to do this and then complain about poor pictures. Its your own fault. I even had a professional photographist complement pictures I have taken with this camera. The zoom is awesome. I have taken pictures of things over 1500 feet away and they look crystal clear. If you take your time and learn to use the many features of the camera you will be extremely happy with the results. This camera when it works takes spectacular photographs. Superior quality. However, this camera's reliability in terms of operation is awful. It burns through batteries as if they were candy. I always have had to have extra batteries on hand. More significantly, the camera refuses to turn on at times (even with fresh batteries). It also refuses to retract its lenses when turned off sometimes as well. I am completely frustrated with this camera. It now refuses to work at all despite seemingly operating correctly. The quality of this product surprised me given my previous complete satisfaction with other HP products. This is my first digital camera. I've had the camera for approximately 8 months. I have used it on two vacations and for family photo opportunities. So far I am very pleased with the camera and it's many functions. I could go on about all the good things but you, reading this, expect those things. I have four things that I am having trouble adapting to after using a 35mm film camera for years. 1 - The screen going black and the delay in the shutter action really makes it difficult or almost impossible to take action shots. Even taking a standing animal or bird becomes hard because they move unpredictably. You can anticipate, and I'm getting better at that, but to visually follow a subject and take action pictures is impossible. 2 - The lense is super untill you get to the digital only point and then things get grainy. I now never use the digital section of the lense. 3 - It would really be nice to be able to manually focus. You can't. 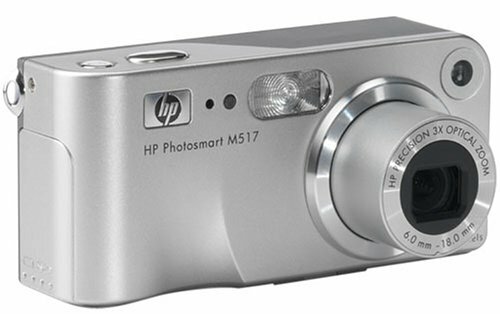 With a sleek exterior and intuitive easy-to-use features, the 3.2-megapixel HP Photosmart M307 digital camera is small and light enough to take with you anywhere. This package includes the M-Series dock, which enables easy recharging of batteries and access to HP's Instant Share feature. 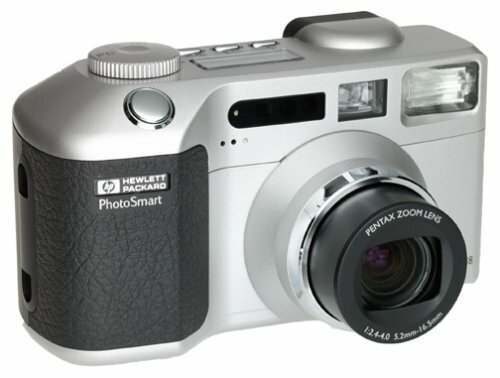 The Photosmart M307 digital camera has an aluminum front and rubberized back. 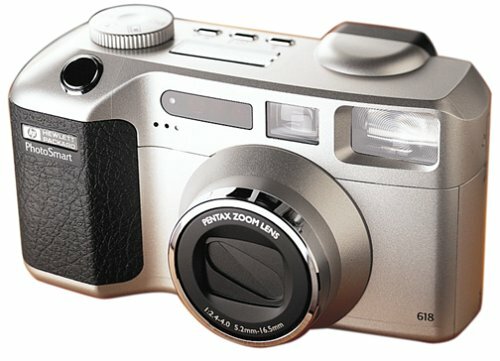 It also features a 3x optical zoom, large 1.8-inch LCD, 16 MB of internal memory, and compatibility with Secure Digital memory cards. 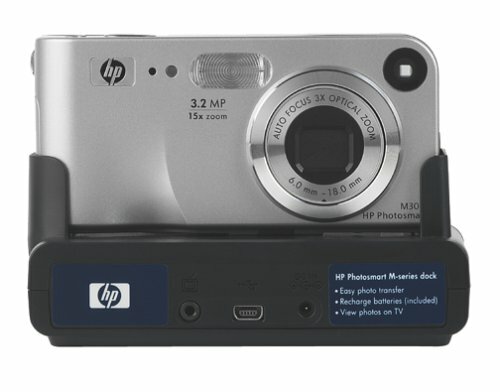 Use the HP Photosmart M-series dock to charge the included NiMH rechargeable batteries while your camera is docked. You can also easily transfer photos to your PC, print them to select HP printers, or share your images with HP Instant Share (see below). The Photosmart M307 has a 3.2-megapixel resolution for images up to 2048 x 1536 for print enlargements up to 11 x 17 inches. It also offers a 1280 x 960 (1MP) and 640 x 480 (VGA) pixel options. The autofocus 3x optical zoom lens (6-18mm; 40-111mm equivalent in 35mm photography) also offers a 5x digital zoom, for 15x total. The internal 16 MB memory can store 8 images at the Best 3-megapixel setting (with each image approximately 1.6 MB). The camera also has a memory card slot that accepts Secure Digital (SD) and MultiMedia (MMC) cards. HP Instant Share makes sharing, printing and saving digital photos easy. With 34 programmable email destinations, the user is able to share digital images with individuals or address lists straight from the camera. When the digital camera is later connected to a computer, either directly or via the optional camera dock, thumbnails of the selected photos are automatically sent to the pre-selected destination without burdening the recipient with large file attachments. E-mail recipients see thumbnails of the images in the body of the e-mail message, as well as a link to the web page where they can easily view, print, save, and upload the photos to online albums. The camera is powered by two AA batteries; two photo NiMH rechargeable batteries are included. 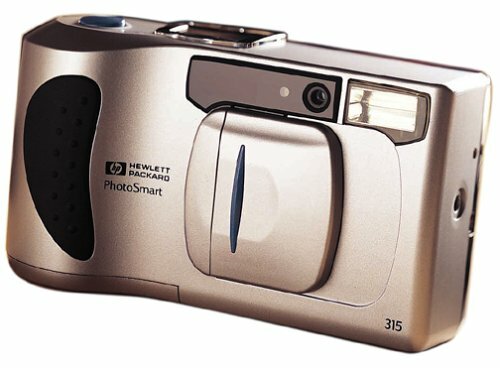 The Photosmart M307 measures 1.4 x 4.3 x 2.1 inches and weighs 4.8 ounces. This is a great entry level digital camera. The pictures look good, even on the lowest quality setting. In response to the people who say the pictures are too dark, use some "photo-sense" and don't shoot into unlit corners. Or, simply force the flash option. I particularly enjoy the large photo capacity. One the low setting the camera can hold 110+ pictures. If you find the need to take pictures on the maximum quality setting, an expandable memory card is recommended. The only thing keeping me from awarding the 5th star is the fact that the AC adapter is sold separately, which is necessary if you plan to use the camera to recharge batteries. If you own a charger, then it's a moot point. Let me say again for clarity, this is a great entry level camera. The photography enthusiast may not be won over, but for shooting birthday parties, holiday gatherings, and Jimmy's T-ball game, this camera is a good buy. After shopping around long and hard, I finally decided on the HP 612. I think my biggest reason for choosing it was the optical zoom. Which by the way, works quite well. No one ever seems to talk about picture quality in reviews. Well I'm going to. The pictures as they come straight out of the camera are a little bit grainy. But it comes with ACD photo software, and all you have to do is click enhance, despeckle, and adjust your level, and it looks better than a lot of point and shoot 35mm cameras. It captures skin tones very well, it captures the complex greens in outdoor settings, and the lighting is very accurate. I'm very pleased with the quality of the photos after playing with them in the software. It has a very nice preview screen, as most digital cameras now do, and a very simple interface. Its somewhat bulky, but still very comfortable to use. And you just don't find optical zoom in this price range. Overall, I think I made the best decision for my price range and needs, and I highly reccomend this camera. The pictures it takes don't even dream of being "pro" ones, but it has gorgeous colour tones (comparing to other cameras in this price range) and does great clear pictures in day-light (it is, after all, a ISO100 equivalent camera, so don't expect it to give you too sharp pictures for dark rooms, although the flash does help a bit. In darker areas, the pictures came out a bit grainy, and if it's really dark, they come out blueish - a thing that can be repaired in PhotoShop and... it's ok, as it's only doing the "blue" thing in very low light). I use the camera with an extra CompactFlash of 128MB (it can hold 138 pictures taken at maximum quality), and I use a pack of Kodak rechargeable batteries of 1800MAH which drain after about 150-170 high quality pictures. If you keep the window open too much of the time, the battery life may go down 20-30 pictures. I would say this is a great battery life for a digi cam! For those who cry that this camera is a battery drainer - try other cameras! :) Anyone who thinks of buying a digital camera should consider buying a recharger with batteries. Downloading: easy (through the HP software - just plug in the USB cord and off you go! ), fast(! ), and the HP printing software provided with the camera can help a beginner or the rushy person to quickly enhance the brightness and the tones of a photo taken in too lower light. If you are a beginner or you just need a camera to carry with you practically everywhere, this is the one: you've got quality, good colours, optical zoom, easy shooting, fast downloading, and all for the lowest price you can find! - Traditional Pentax "retro" appearance, more resolution than most people need, very nice onscreen menus, unique IR blasting features, automatic lens cover, and picture quality is light-years better than my last camera (especially on outdoor shots). The default 16mb card stores 100 800x600 images or 29 1600x1200 images at "better quality"
- The flash is too bright on indoor shots less than ~5 feet...as others suggested, I've taped some tissue over the flash and sometimes also have to reduce the exposure setting to get a good shot in these cases. If you're doing eBay or inventory work you'll need to set up other sources of light. and disable the camera flash. - There was not as much software included for Macintosh computers...just some generic image editing tools (the ... site claims to have a free software download for Macs but the link is broken and you end up getting their software for an older HP camera). I honestly don't think this is a big deal, as the connections to my Mac are so easy in USB drive mode I'd just assume not clutter up my disk with stuff I wouldn't use. This camera is so easy to use, and it takes great pictures. I put off buying a digital camera for a long time. Too complicated, I thought. Too much to learn, it'll be a hassle to use with the computer. But our business required that we advance and go digital. When it came, I was apprehensive. But within minute's of reading through the basic operation's manual, I was snapping pic's around the house! Wow, I thought! What took me so long?! It's very user-friendly, it feels and fits well into your hand, is light-weight & has a large view window. I like that it's a marriage of both HP and Pentax technologies. Both companies that I know and trust. It come's with an infra-red remote to snap shots, but I found this a little tricky to use as you have to get it pointed at the camera just right in order to triger a shot. The automatic timer works better. There was one clitch however. It was draining the batteries over night. I called HP and they somewhat hinted that, yes, that was a little problem with a few of them. But it was no problem at all to swap it for another new one with either Amazon, or HP. I'm glad we opted to try again and not choose another brand. The 2nd. one has a much longer battery life (week's), and we use it a lot. If this is to be your first digital camera, I'd recommend you also order an extra flash card, extra set of rechargable batteries and a re-charger, and a card-reader. I like the "SanDisk" reader. It's simple and easy to use. So figure on spending at least another $100.00 on accessories. For a mid-range digital camera, in my opinion, this one can't be beat. I have had this camera for about a year and I love it. All in all we have taken about 2000 pictures with it and we love the b/w, color, or sepia option. I have taken some really beautiful pictures that are worthy of being framed and out on the wall. I have noticed the battery problem but that is easily fixed by getting rechargeable batteries and putting the quality on good (you still get great pictures). I would say that we can take 125-150 straight shots with the rechargeable batteries. I have not had to talk to HP tech support so I can't comment on that. We did take this camera to Hawaii and got about 400 absolutely great pictures. I also found that it is incredibly easy to download and email my pictures. Once they are downloaded I email them to friends/family or I burn them onto a CD for people as a photo album, it saves a ton of money. I think a lot of the problems that other reviewers have run into have less to do with the actually camera as it does with either tech support, or technology problems with their computers. If you follow the setup instructions, this camera is very easy to use on the computer and a lot of fun to take pictures with. The camera took great pictures, but downloading from it to the computer would not work. I had to buy a card reader. Battery life was very short. The camera circuit board blew in less than 18 months and would cost $250 to fix, making it worthless. I'll never buy another HP camera. 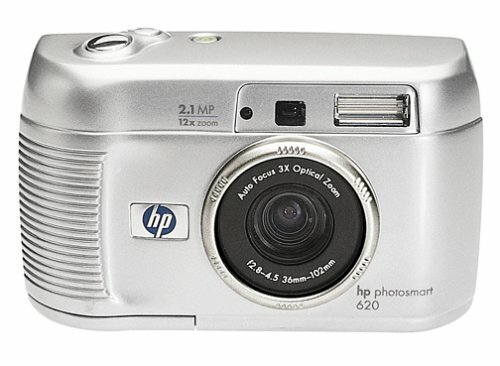 Enjoy solid performance with the easy-to-use HP Photosmart 320 digital camera, which features 2.1-megapixel resolution--for quality prints up to 8 by 10 inches--and a 4x digital zoom. And with the HP Instant Share feature, you can select up to 14 destinations to deliver your digital photos the next time you connect to your computer, including e-mail addresses, printers, and more. This version of the Photosmart 320 includes the Photosmart camera dock with rechargeable batteries. Featuring a CCD sensor with 2.1 million effective pixels, the Photosmart 320 creates images up to 1,600 x 1,200 pixels and prints up to 8 by 10 inches. Like with many other entry-level digital models, HP keeps the price low by using a focus-free lens with no optical zoom. A 4x digital zoom does bring your shooting subject closer like an optical zoom, but at the expense of image detail. Store photos using the 8 MB internal memory. The Photosmart 320 also features a Secure Digital slot for optional SD memory cards. In addition to taking still photos, the Photosmart 320 can also record silent movie clips of up to 30 seconds at a frame rate of 15 fps. The QuickTime Motion JPEG format offers a limited resolution, which is great for capturing a short movie that can be e-mailed to friends and family, but is no replacement for a true camcorder. 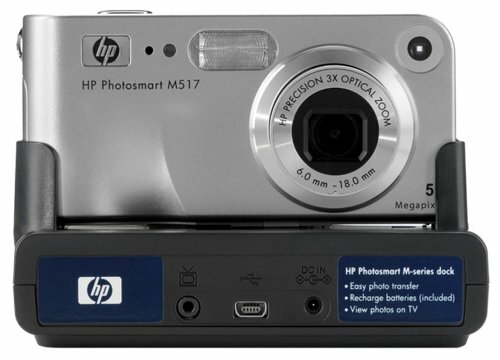 With the included HP Photosmart 8881 digital camera dock (which includes four rechargeable NiMH batteries), you can connect easily to your PC or TV, plus recharge your camera batteries. 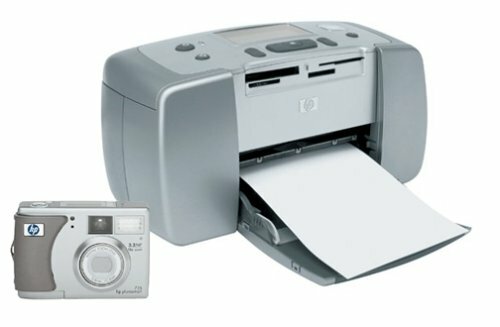 You can easily print photos directly from your camera to an optional HP Photosmart, HP PSC 950 all in one, or HP Deskjet (excludes 600 series) printer with USB connectivity--no PC required. Built-in flash with red-eye reduction. 1.5-inch backlit LCD display for preview and review of photos, battery levels, photo counter, and flash modes. I'm on a really tight budget, so I went with this camera since the price was right. I would recommend getting a more powerful camera if you want the photos to look good. I had to buy a $70 memory card to add to this camera because you can only take 8 photos at a time. There is an option that use can use lower resolution (1 star is the worst- never use this setting, because it is terribly grainy and you can't tell what is in the photo; 2 stars is also very bad; the highest is the 3 stars, and this setting takes decent photos). This camera is not as good as I thought it would be, but you get what you pay for. The pictures often come up with bad quality, but you can't really help that. If you can, buy a better camera because the resolution isn't that good. 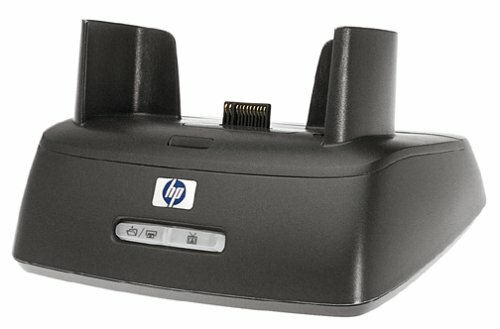 The HP R-series camera dock makes it easy to connect your R-series HP Photosmart digital camera to your computer for transferring, printing, and sharing of photos and videos. It also enables in-camera battery recharging (AC adapter and rechargeable batteries included) as well as a second battery with the additional charging bay. You can also print photos to PictBridge-compatible printer directly from the dock without having to go through your PC. Show your dazzling photos to friends and families through your TV with the included A/V cable. You'll be able to run photo slideshows using the included remote control. With HP's Instant Share feature, you can customize your camera with e-mail aliases and distribution lists of your family and friends. For each picture, you can designate up to 14 destinations, including e-mail addresses, compatible printers, and more. Once you attach the camera to your PC, your photos are optimized and automatically sent to the destinations you've selected. Very nice for your camera to have a fully function home. This camera port is absolutely perfect for me because it gives me a place to keep it. But that is just the least of it. While sitting in it's little cradle, it is charging it's batteries and tied directly to the computer. I love this because you don't have to plug in, and unplug just to connect it to your computer. The same goes for charging. For that matter it's a plus not to have to remove the batteries just to charge them. I guess I love it because it does everything I need it too by just setting it in it's home. I must add one more thing, I certainly do like how when you set it in the cradle, my computer opens it up just like a hard drive. This is a must to whomever owns a PhotoSmart. This is the best thing you can get if you have a PhotoSmart camera!!! It charges your batteries IN YOU CAMERA!! You can go to parties, take pictures, show the pictures on a TV and charge your batteries to boot. Your computer will automatically detect when you put the camera in the dock and open it up like a regular disk drive. This thing took every ounce of effort that makes digital photography a chore. So now I take thousands of pictures. I don't have to worry about charging the batteries, uploding the photos- just shoot and dock. Shoot and dock. That's how digital photography is supposed to be like. 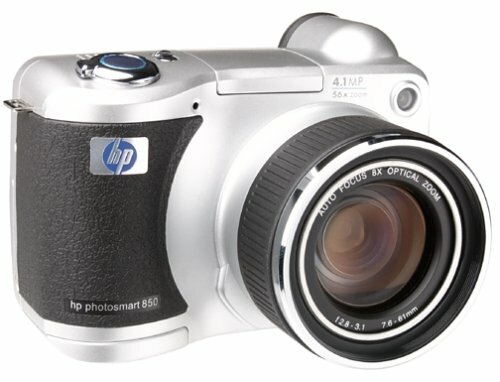 the hp 8881 is compatible with hp's 320, 620, 720, 812, 850 and 945 cameras. each camera comes with a dock insert so that they can use this universal cradle. this cradle is small, lightweight, and very portable. it charges the camera's NiMH battery pack, connects via USB to your computer for downloading files, and connects to a TV for slideshows. a final note. this cradle offers a regular usb computer connection. it would have been nice to have usb 2.0 for faster downloads but maybe for the next product iteration. 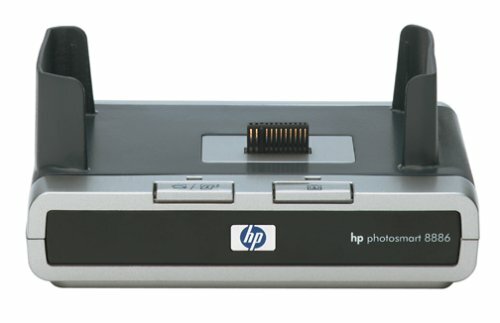 The HP Photosmart 8886 digital camera docking station enables in-camera battery recharging (AC adapter and rechargeable batteries included). Cutting down on desktop clutter, this convenient remote-controlled device enables you to easily transfer image files to your PC, print photos, or even view images on TV--all in one easy step. Don't Buy it - HP's Customer Service is a JOKE! I am happy with my digital camera, and bought the camera dock so I could use the rechargeable batteries that are supposed to last longer. The dock arrived in great shape, but the batteries were so low that the dock would not charge them. I got out my trusty owners manual, and the solution is 1) Go out and buy new batteries, or 2) go out and buy a battery charger. The DOCK was supposed to BE my BATTERY CHARGER! HP has no warranty card included, and no phone number to call to ask them to send new batteries. They hung up on me when I finally found the number on the Internet and called. They were not helpful at all, and the people I spoke to were complete jerks. This ends my association with HP forever. I bought the 8886 dock along with a photosmart 935 camera. The dock is convenient for transfering pics to the PC. But my dock overcharges the batteries. You can feel the camera getting hot to the touch after it's been sitting in the dock for a while. The labels on the batteries start to bubble and peel off. It's left melted material around the battery contacts inside the camera. A recharging dock should allow you to leave the camera plugged in, and shouldn't overcharge your batteries or damage your camera. I am very disappointed in my 8886 dock purchase. Is This Dock Really Necessary? I really did not want to buy a camera dock, as I felt they were 'extravagant', but I quickly learned how handy they are. First, I always know where my camera is - and believe me, I tend to lose things. Digital cameras use a lot of batteries and I used to have a special double nickel battery on another camera that lasted a while, but was nearly $16.00 per battery. The NiMH batteries (Nickel)are rechargeable overnight, so all I ever need is an extra set to alternate. The dock is also always attached to my PC, so I can easily download my pictures by simply placing the camera in the dock. There is also an extra line to connect your dock to your TV to view you pictures, but this is extraneous, as I just watch them on my computer monitor. You can also send your photos to email, a folder, PhotoShop or any other destination you want. I like the fact that all I need to do is install it once and just take my camera from it when needed. The only feature I feel is really unnecessary is the remote control. However, if you do use your TV, this could be handy for couch lovers. For the price, it is a handy tool to have around. This camera dock is very easy to use and a space saver. It looks cool too. This compact desk item works very well - just like the ad promises. It comes with two set of batteries (one set rechargable andone set for the remote). This is one item you will want to help organize your pictures and to show them off to friends and family! Glad I bought the 'dock'. It allows me to easily view photos on my TV and it charges my 'rechargeble batteries' easily while I am at home without taking them out of the camera. 1. A set of rechargeable NiMH/1800 to 2200 mAh batteries. 2. A 128, or even better, a 256 Secure Digital Memory card to better handle the many pics you will be taking.